If the MTV era of the 1980s meant something to you, if it was an essential part of your musical and television life, then “I Want My MTV” should be an essential read for you. 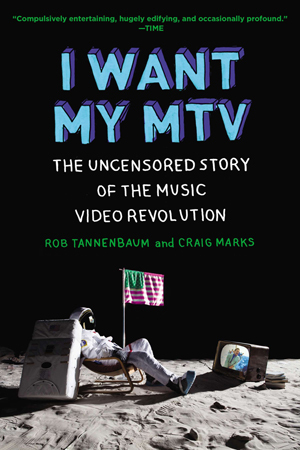 Authors Rob Tannenbaum and Craig Marks do a great job of capturing the phenomenon that was MTV from 1981, when “Video Killed the Radio Star” debuted, until 1992, when the reality show “The Real World” signaled a sea change for MTV programming. The best part is that the authors let hundreds of singers, musicians, video directors, executives and VJs (remember them?) tell the story. And what a story they tell, one peppered with laugh-out-loud moments. Early chapters cover the launching of the network, which included the star-laden “I want my MTV” campaign that helped it secure spots on various cable systems. For those people, there’s this book, and YouTube, to revive the magic.